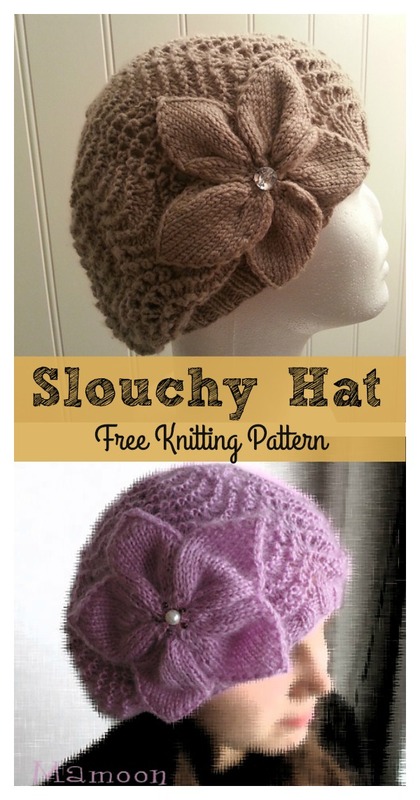 This Slouchy Lace Hat Flower Free Knitting Pattern makes a cute eyelet lace hat with a slightly slouchy style. It features a garter-stitch brim and an addictive, yet simple lace motif. It’s really fun to make and is perfect for all seasons. It takes only a few hours to make. Two different colors were used in the following two photos, but it actually looks fantastic in every color. Try knitting yourself a ton of knitted hats with this pattern in all different colors to give yourself a staple for every outfit. Happy knitting. You might also like Regina Hat Free Knitting Pattern.